It seems a long time ago that I cashed in the early bird offer from the London Screenwriters Festival 2012. Having just completed my semester one script on my MA, I really thought it would be a useful event to attend. But it certainly came round quickly. Now into the second year of my masters degree, before I knew it I was having to book train tickets, a hotel and start making choices as to which session I would attend. My remit for this festival from the start was purely just to experience the whole event. I wouldn’t be pitching, I wanted to be inspired, meet other people like me and have some quality time in the writing world. In my “ordinary world” I mix with many people, and thankfully due to the job that I do and where I do it, I quite often meet writers every now and again. However, the draw of spending a full weekend with storytellers like me is as appealing as a cake shop to Roseanne. At the same time I also started to feel a bit nervous about being on my own in a big city – London! Previously I have visited it a handful of times, and each of those I was with somebody. Never really thought about that in February when I was booking my early birdticket! Sounds silly but realising that was a bit nerve wracking but thankfully there is always a wind taker who will feed any negative thoughts. So, the person who judged me by overhearing me communicating my fear of being alone in the city and laughed at me because I had never lived alone – well they just made me want to get on that train and show them. Yes I have lived with my husband from age 19, yes I haven’t lived alone but damn you it doesn’t mean I am not a brave person in my own right! I just love those wind takers…….they keep me wanting to strive! Being the tight arse that I am I decided I would travel on the morning of the opening day, and save on an extra night hotel bill. Note to self – next year I will not be tight as being exhausted and falling asleep mid first day is not big, it’s not clever and it’s absolutely disrespectful to the speakers. 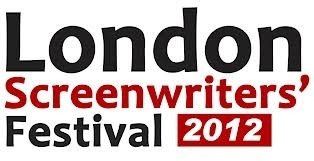 This entry was posted in London Screenwriters Festival and tagged festival, London, writing.